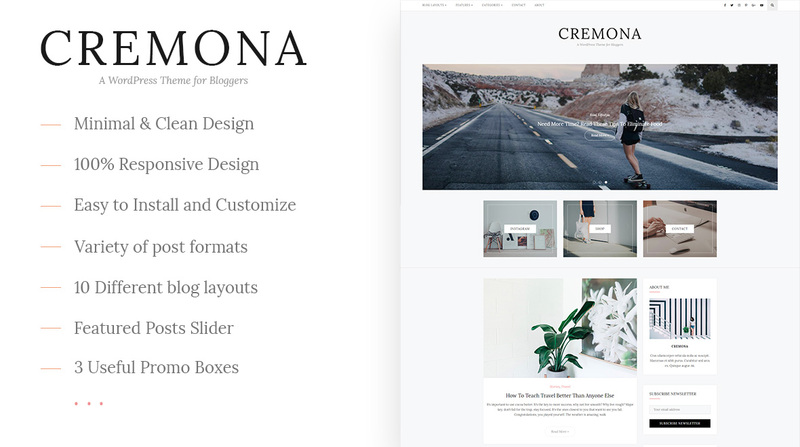 Cremona - A WordPress Theme for Bloggers! If you need to reach a feminine target market, then this Cremona WordPress blog theme template is ideal. 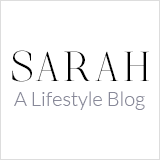 Whether you are a lifestyle or fashion blogger, be it a lifestyle blog, a travel journal, a travelogue, a music band blog, an art blog, a photography blog, a curator's blog, a writer's journal, a food blog, a fashion blog or something else. The minimal style and color palette of this blog design means that the template will provide a structure that will work excellently for both business websites and blogs. Moreover, the easy readability will make it a joy for your readers to discover your content. After activation, the easy installation will allow you to start posting blogs immediately. You will also be able to customize the WordPress template with the Customizer and make it even more unique for your needs. Purchasing this theme you take advantage of Free Support & Installation. Customer satisfaction is our top priority, don't hesitate to contact us using the contact form on our profile page if you require any assistance. Will try to reply within 24 hour.